Happy May! 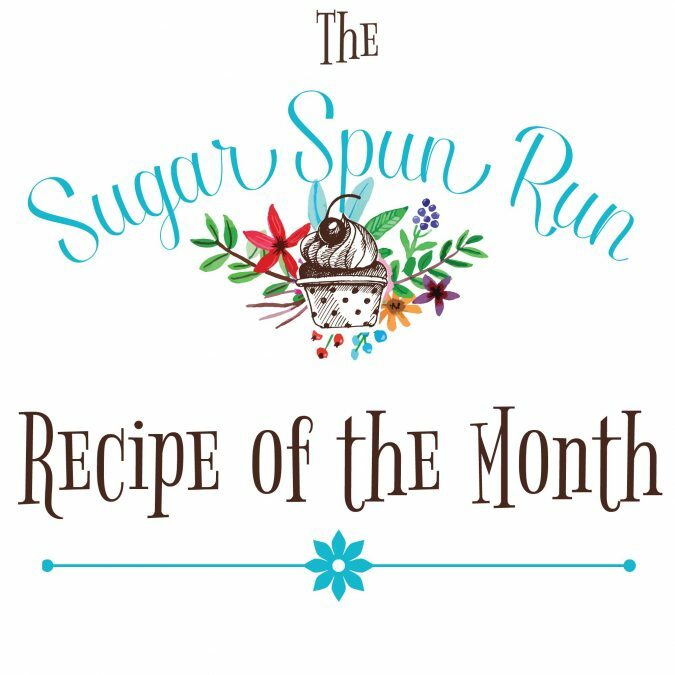 I’m interrupting my regular posting schedule to bring you something that I’m super excited about: The Sugar Spun Run Recipe of the Month! 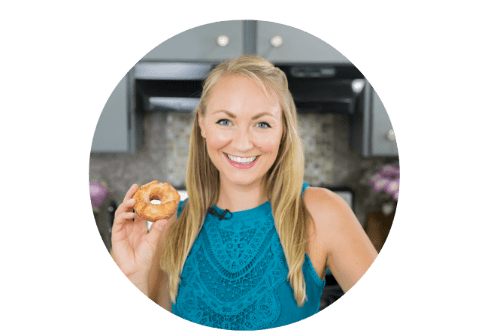 Some of you may have heard me talk about this in some of my earlier posts, some of you have e-mailed me asking for a “group recipe challenge”, and today it is finally happening! 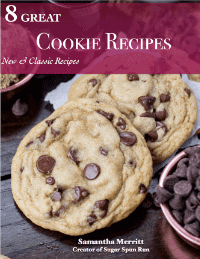 Each month I will be designating a specific recipe that I challenge all of you to bake along with me. 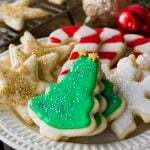 Every one who participates will be entered to win a small prize. 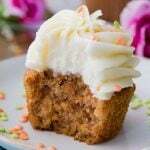 The challenge begins as soon as the recipe is posted tomorrow and ends at the end of the month. If all goes well, we’ll start all over again with a new recipe in June 🤞🏻. 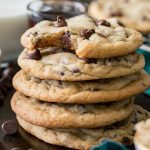 The goal here is to get everyone baking the same recipe, maybe something they haven’t’ tried before, and get talking about it! 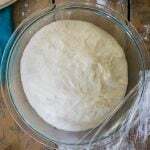 I’m starting with a pretty straightforward recipe that I think most of you will have no trouble mastering, and if you guys think it’s too easy we’ll take it up a notch next month. 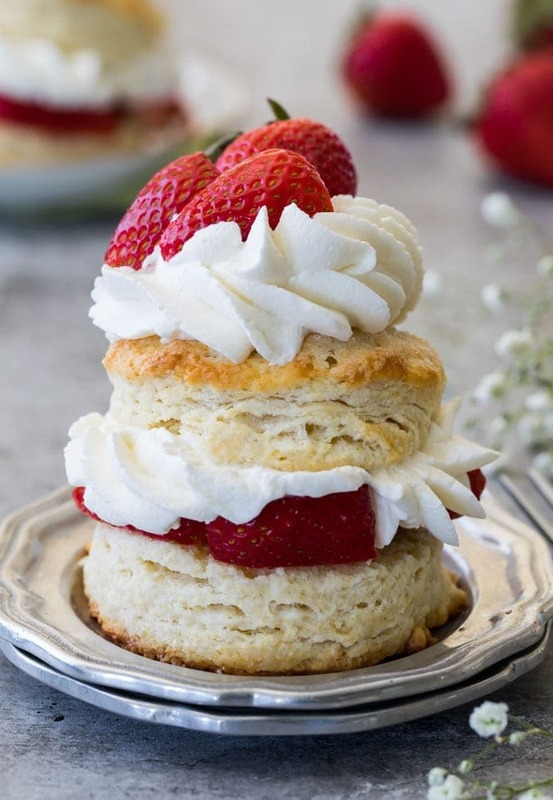 Oh, and do those shortcake layers look familiar to you? 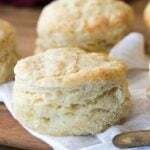 If you’ve already made last week’s homemade biscuits, you’re off to a great start as you’ll find the recipe is very similar (not identical, though!). 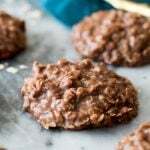 I’ll be sharing the full recipe tomorrow, and if you’re an e-mail subscriber you’ll be one of the very first notified. Share a photo of your results! If you don’t have any of the above social media but you are an e-mail subscriber, you can also enter by e-mailing me. Select reader photos will also be featured on my Instagram account, on Facebook, and in next month’s re-cap (if for any reason you don’t want me to re-share your photo, please let me know with your submission). 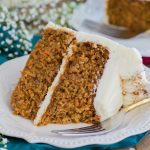 Everyone who participates in the Recipe of the Month challenge by sharing a photo will be automatically entered for a chance to win a $50 Amazon gift card. The winner will be chosen at random and all entries must be submitted by the end of the month. But wait! Where’s the Recipe! 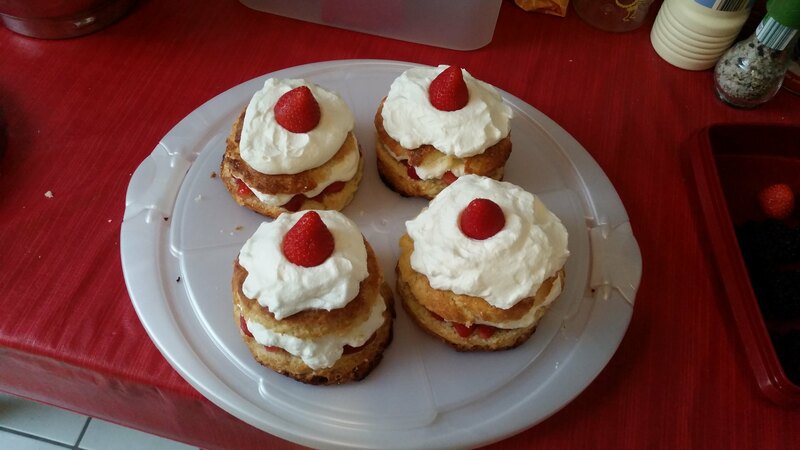 Update: The Strawberry Shortcake Recipe is now up! 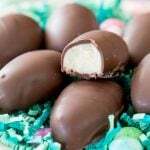 Click the link to see the recipe! 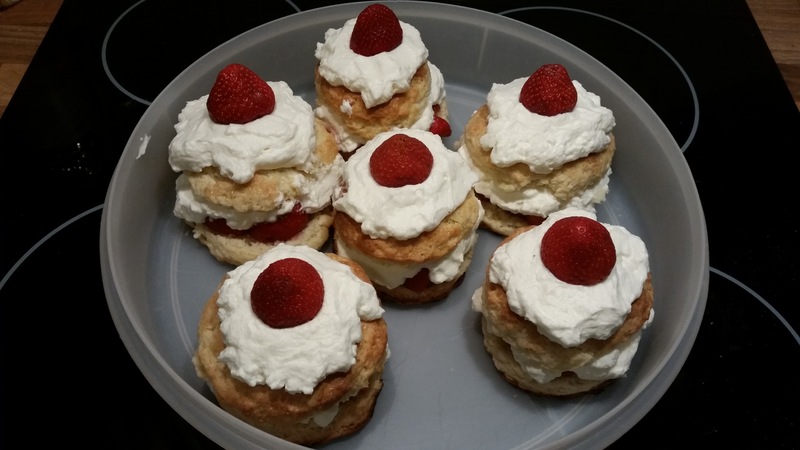 Originally I was going to share the Strawberry Shortcake recipe right in this post, but as I started to write and explain this whole Recipe of the Month thing, I realized the post was going to be way too long and was going to be full of way too much different information. 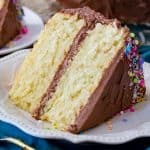 I want the actual recipe post to focus just on the recipe, and so bright and early tomorrow morning I will be sharing the full recipe post along with plenty of tips, photos and even a video (if you subscribe to my YouTube channel you can usually actually catch the video before the post goes live). See you guys in 24 hours! I’m looking forward to getting started, I hope you’re as excited about this as I am! The Sugar Spun Run Recipe of the Month was inspired by those of you who e-mailed me asking for a recipe challenge, and the format was inspired by King Arthur Flour’s Bakealong, Sally’s Baking Challenge, and Handle the Heat’s Baking Challenge. 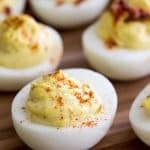 Here are my attempts at this recipe. 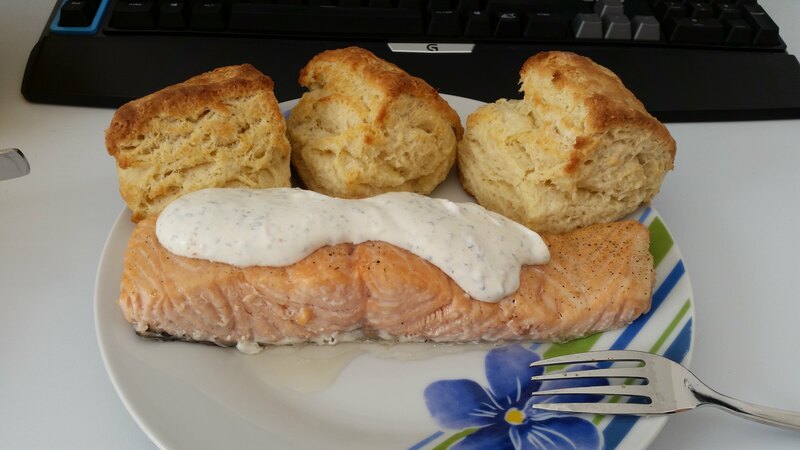 Although there was some noticeable improvement between the iterations (especially once I built myself a “proper” cookie cutter and chilled the butter and dough throughout the process), I’m still not 100% satisfied with the final result. Compared to the biscuits (https://i.imgur.com/pEr2pa7.jpg which were a bit lopsided because I cut the dough into pieces instead of using a cookie cutter, resulting in a solid edge that was unable to rise like the open sides) they did not rise as much and did not develop the distinct layering as strongly. I initially suspected that the butter might be at fault, but even repeatedly chilling the dough did not have much of an impact. 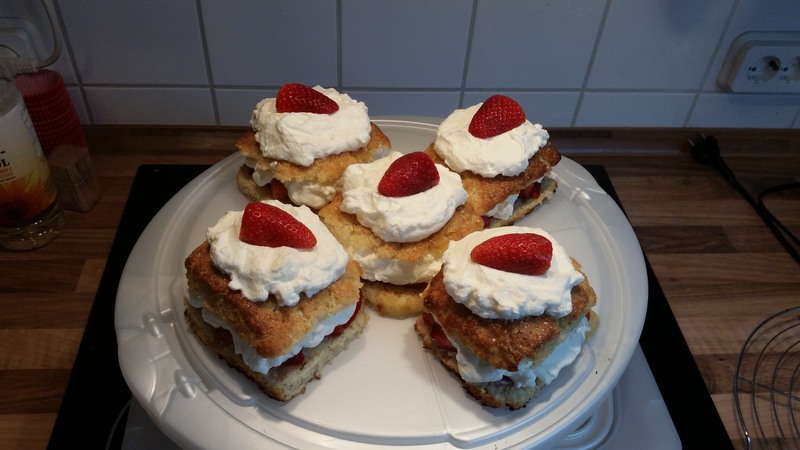 I did however notice that the biscuit recipe (at least in my conversion) used 175ml milk whereas the shortcake recipe 120ml heavy cream plus 80ml milk for a total of 200ml liquid (almost a 15% increase). So the next time I try this I will reduce the liquid to the same amount as for the biscuits to see whether this makes any difference.